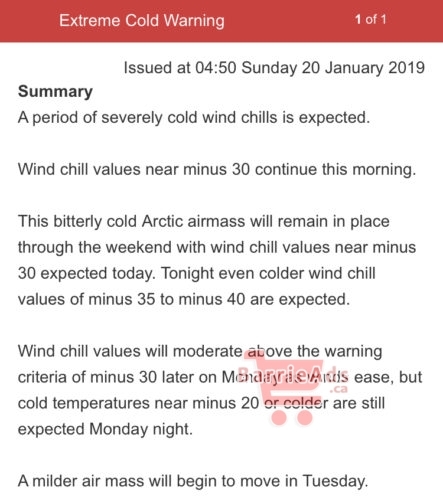 Today is as good as any day to stay indoors, as Environment Canada has issued an Extreme Cold Warning. Wind chill values may reach -40 this coming evening. It seems we have dodged a bullet with yesterday’s system, as some places, such as Hamilton received upwards of 60 cm!